Buy art! Make big bucks! Wondering what to do with those extra millions from your year-end Goldman Sachs bonus? Invest in art, of course. But before writing the big checks, check out "The Art Economist," a new magazine specially designed for rich people who buy art for fun, prestige and to make even more money. Or as the magazine's promo pitch describes them "wealthy contemporary art collectors and art investors." Founded by a Wall Street art collector, Fred Alger, the magazine will cost $400 per year for 10 issues of 88 "robust" pages each. What exactly makes a page "robust"? Classy paper, fancy printing, lots of colorful pictures. And exclusivity: there will be no advertisements and you can't buy it from a news stand. Each issue will rank the top 300 living artists according to their auction results since 2008. Thirty of the chosen ones will be profiled. The art market will be analyzed, new investment-worthy artists will be named, and subscribers can log onto an interactive website with "up-to-the-minute news and auction results" for the 300 hotties. The No. 1 artist of the No. 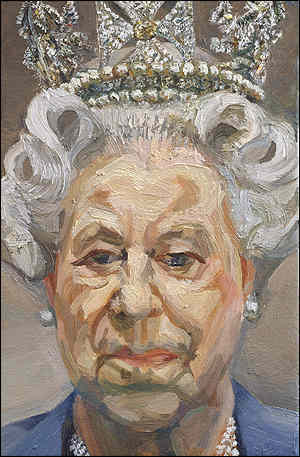 1 issue is Brit painter Lucien Freud. Other usual suspects in the pantheon are: Chuck Close (127), Robert Gober (30), Barbara Kruger (206), Mark di Suvero (179), Brice Marden (9), Jack Pierson (121), John Currin (20), Lisa Yuskavage (146), Vik Muniz (217), Cy Twombly (14) and Helen Frankenthaler (106). 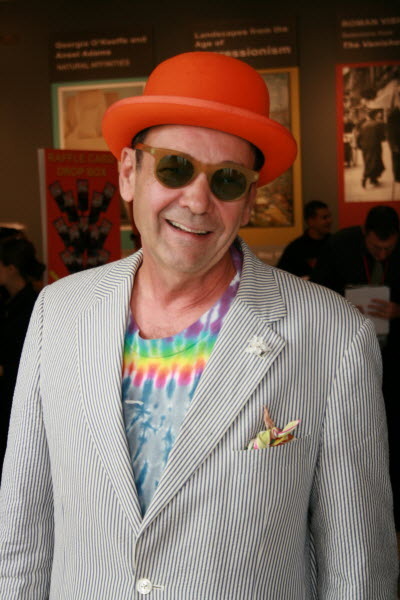 Bruce Helander, one time RISD provost wearing a fun hat, glasses and t-shirt.